Collapsible backdrops are great for location shooting and small studios — even large studios use them for convenient and inexpensive options for backdrops. The video below shows the 5×7′ chroma key backdrop. You can use chroma key backdrops to replace the background in your photo or videos, but Angler also has other colors with the same build quality. This is a well-made backdrop that should last a very long time. Even the carry bag is better made than most others that cost a lot more money. I use this kind of backdrop on location every week. Highly recommended. Find the array of Angler Collapsible backdrops right here. 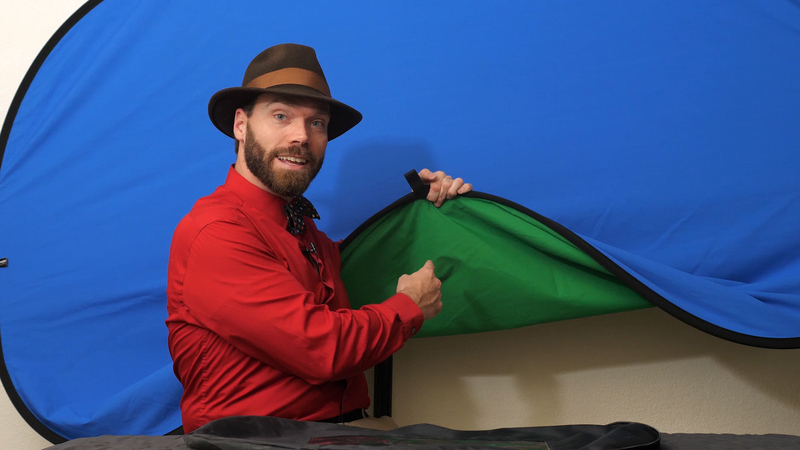 And here’s a quick video showing how to put away your collapsible backdrop or reflector.